TARDISWeepingAngels is a complementary add-on plugin that tranforms skeletons into terrifying Weeping Angels, zombies into Cybermen and Pig Zombies into angry Ice Warriors. Weeping Angels, Cybermen and Ice Warriors! Weeping Angels only spawn at night in loaded chunks. 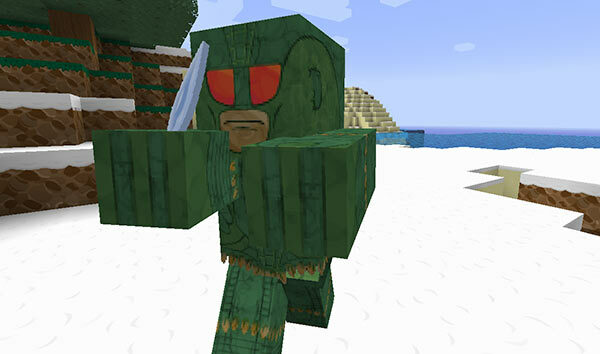 They spawn with grey leather armour and a water lily helmet (their wings). 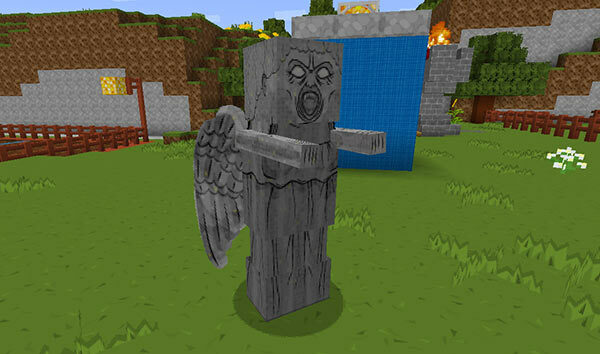 Weeping Angels can only be killed with the configured weapon — by default a DIAMOND_PICKAXE — hitting them with anything else has no effect. When they die they drop random amounts (1-3) of the configured items (STONE and COBBLESTONE by default), and very rarely a skull. The angels move pretty fast, but you can freeze them in place by looking at them and quickly pressing the sneak key. Better arm yourself or flee quickly though, as they’ll be after you again in a snap — and if they touch you, you’ll be teleported away to a random location. If configured, your TARDIS Key will also be stolen. Cybermen can spawn at anytime. They spawn with iron armour. 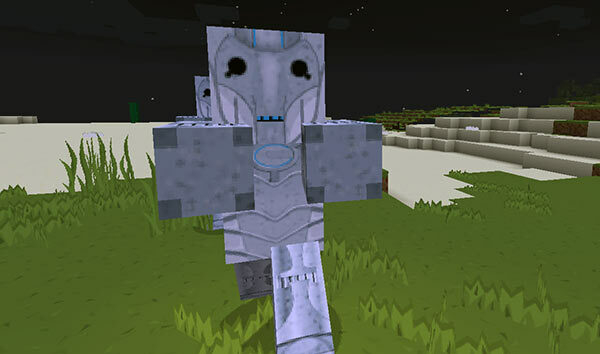 If configured, Cybermen will upgrade villagers and players when they have killed them (a new Cyberman) spawns in their place. If the upgraded entity was a player, the new Cyberman displays the player’s name above its head. Ice Warriors are really angry. They can spawn at anytime, but only spawn in snowy, icy or cold biomes. They carry an ice dagger. Did I mention they’re angry! how_many sets how many monsters to spawn each time. how_often is the time period (in server ticks — 20 ticks = 1 second) between spawn attempts. max_per_world is the maximum number of monsters can be alive at one time. The worlds section allows you to list the worlds you want the monsters to spawn in. drops sets a list of items that drop when the monsters is killed. freeze_time is the length of time (in server ticks) that the Angels remain motionless for. weapon sets the item that will kill a Weeping Angel. angels_can_steal sets whether the Angels can steal your TARDIS Key — requires the TARDIS plugin to be installed. can_upgrade sets whether the Cybermen can upgrade players and villagers.